Help us continue making this dream a reality. Consider a general sponsorship for 2019. At Chabad, we aim to create a home away from home for every Jew in the County no matter from what background, affiliation or financial status. For that reason, we do not charge a membership fee and everyone is always welcome. Consider the general sponsorship for one of the upcoming Holidays and help make it possible for so many to have a uplifting and meaningful Holiday experience. "The people of the book". 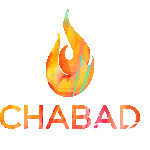 At Chabad we strive to provide the highest level of Jewish education. We offer weekly, Holiday and general classes and keep the fee at a bare minimum. Consider the general sponsorship for our adult education program for the 2018 calendar year. Jews from all parts of the county are constantly visiting JewishSohomish.com for the latest Jewish community news, information. Our Torah Video Thoughts page has proved very popular and we are planing on adding video classes in 2019. Our website is also connected to one of the largest Torah databases available online.